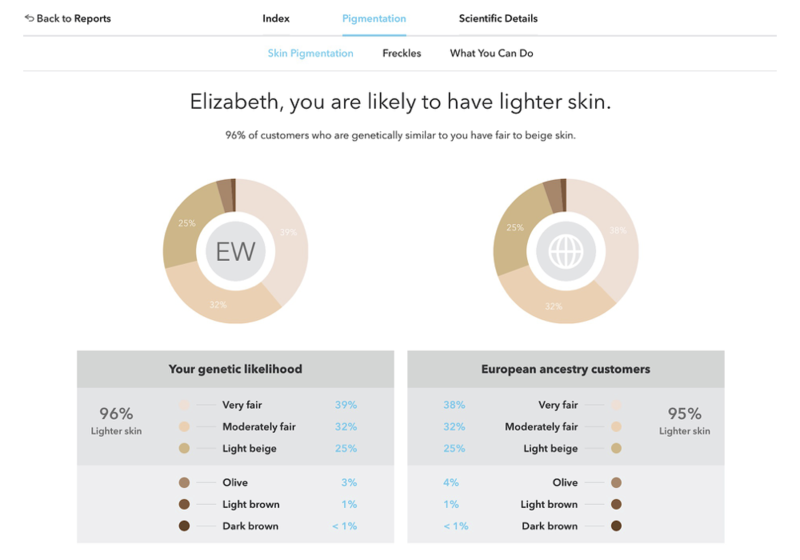 Lesson Goal Explore the connections between ancestry, geography, and natural selection in determining skin color. What role does folate play in human development? Why aren’t we all dark skinned? What does all of this mean, in terms of melanin, vitamin D, calcium, folate, birth defects, and where you live? Can you put it into your own words? Did you use genotype or phenotype to draw a conclusion and make an assertion about alikeness, or differentness? What do people generally use to determine skin color? What actually determines skin color? Does your genotype match your phenotype? What do you see when you look at all of the data together? How do you describe your skin color? How does one of your friends/classmates describe your skin color? 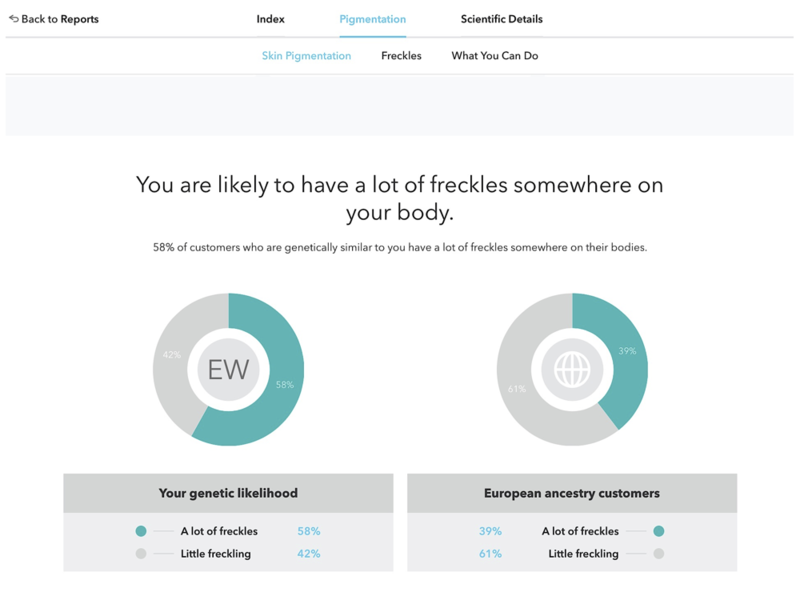 What did 23andMe predict about your skin color? What do you know about skin color and where people live on the Earth? How has skin color evolved over time? Do you think geography (where you live) plays a role in the evolution of skin color? 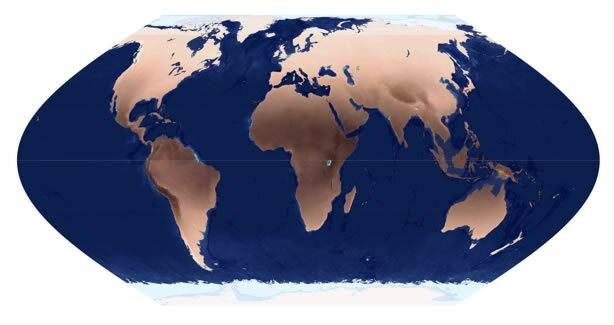 The image below represents the distribution of skin color across the globe. What do you notice? 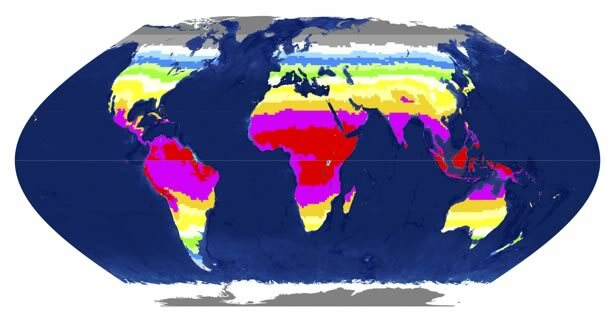 The image below represents the distribution of UV-B radiation across the globe. What do you notice?